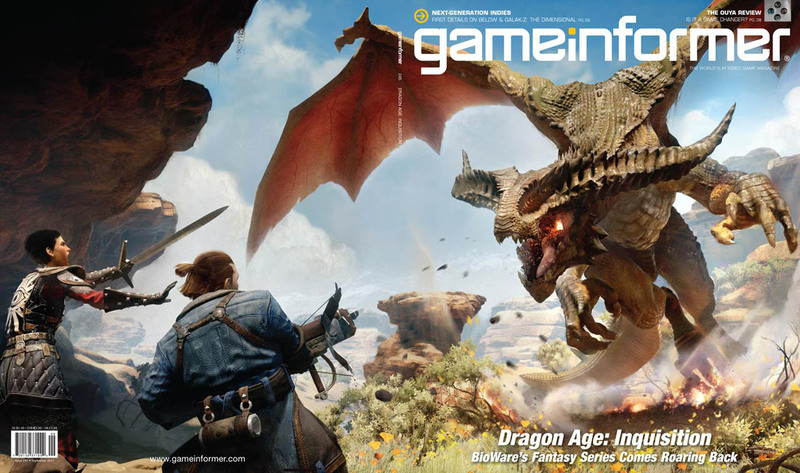 This week, Game Informer revealed its September cover, shown above, and announced a month-long series of online articles featuring exclusive Dragon Age: Inquisition coverage. The September issue also features a cover story on Dragon Age: Inquisition that delves into some of the questions raised by the E3 announcement trailer. Access to the cover story is limited to Game Informer subscribers, but you can read this rundown of the article's content. Major points include the return of multiple player races (possibly to include Qunari), a fully voiced player character, an open world environment similar to Skyrim, a armor customization system centered around crafting, large enemies that may be vastly more powerful than the player character, and smarter enemies that group up to fight the player character. Dragon Age II characters Varric and Cassandra will return in Dragon Age: Inquisition as party members. Additionally, BioWare has announced a new party member named Vivienne, an Orlesian Circle mage. There are some interesting new environmental mechanics brought into play, as well, like rebuilding abandoned fortresses in the world for use as Inquisition headquarters, suffering realistic effects from harsh or rainy weather, and using mage powers to reveal hidden or blocked off areas for exploration. The third installment of the Dragon Age franchise casts players as the head of the Inquisition, a recently resurrected organization charged with rooting out corruption and evil in the land of Thedas. As the game begins, the Inquisition has plenty to investigate. War, scheming, and political strife have left the major power groups in the Dragon Age universe unable to operate effectively, which is a problem when a hole opens in the sky and demons begin pouring out. Players must fight back against the demonic threat while exploring a vast world and consolidating power for the growing Inquisition. For a thorough breakdown of the Game Informer news and what it means for Dragon Age lore, I recommend watching the below video by YouTube gamer Ashe a.k.a. Lady Insanity. Be warned—this video does contain spoilers for Dragon Age: Origins and Dragon Age II. Dragon Age: Inquisition is set for release in fall 2014 on PC, PS3, PS4, Xbox 360, and Xbox One. Maybe it's just me . . . but definitely gonna be a mage. Anyone think they'll take it back to anyone being able to lock-pick, track, craft and that?